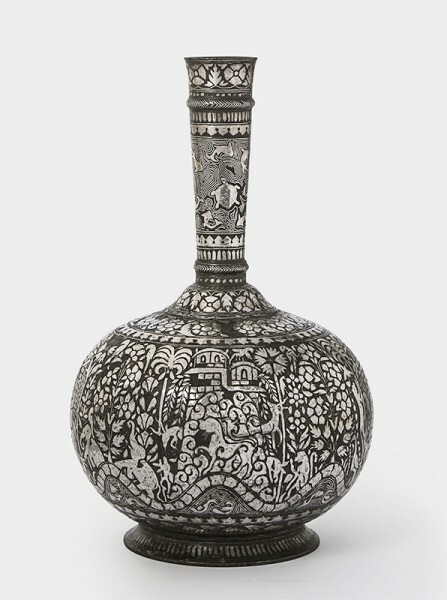 A fine and Unique Bidri bottle with figural decoration. Prahlad Bubbar is pleased to present a fine group of Indian, Islamic and Himalayan paintings, and objects from the Mughal era. Among them is a fine watercolour reflecting keen observation of nature from the Rind series. 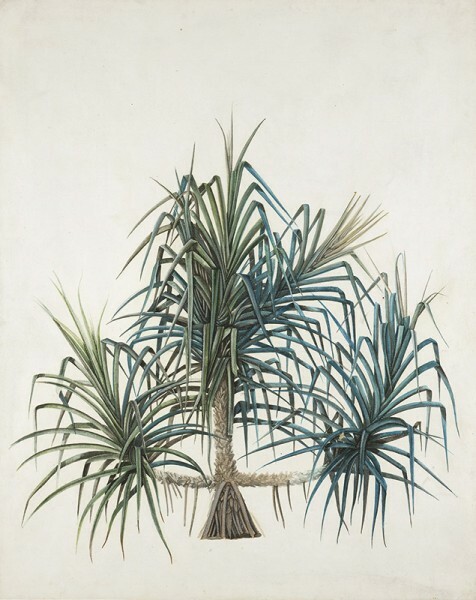 This large painting of the Kieura Palm was part of the collection of Major James Nathaniel Rind, an enthusiastic collector who commissioned a number of botanical and zoological studies during his time in India at the end of the 18th century.